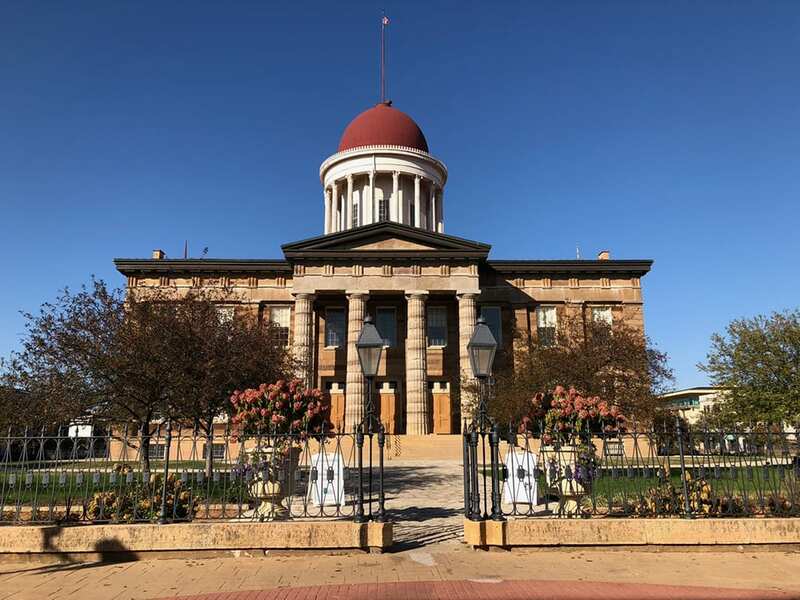 Last December, Illinois culminated its bicentennial celebration, and what better way to partake in this event than to visit Springfield, Illinois, and the land of Lincoln. History abounds in Springfield. Located in central Illinois, Springfield was first settled around the time Illinois achieved statehood in 1818. Originally called Calhoun, Springfield became the third state capital of Illinois in 1839 and remains so today. When Abraham Lincoln moved to Springfield to practice law and later became a politician, he put the city on the map. Today Springfield has its own zeal and combines its historical beginnings with the new. You’ll find an eclectic array of bars and restaurants as well as modern skyscrapers along the horizon. If you visit Springfield, you must spend time exploring some of the places marked with Lincoln’s legacy. Start with the National Lincoln Monument to get a sense of perspective. The monument—the resting place of Lincoln, his wife, and three of their sons—is reminiscent of the Washington Monument in the District of Columbia. In front of the memorial sits a bronze head of Lincoln. You will notice that the nose is very polished because visitors stop and rub the nose for good luck. Inside the memorial, you will find the bronze version and a prototype for the Lincoln Memorial in D.C. It is interesting to note that the dimensions of the sculpture are the same as the memorial but in inches rather than feet. This excerpt comes from an article published in January on Food Wine Travel Magazine.